DealDash has Bid Packs on Sale! Need more bids? It’s time to buy a bid pack on DealDash! Have you been bidding on DealDash bid packs? If you need more bids, they are on a great sale today, and you can stock up. However, buying them isn’t the only way to go, of course, you could also win them in auction or earn them for free. It’s up to you how you want to get your next bid pack from DealDash. Read on for more information. If sale-priced bids aren’t your thing, why not bid on them, then? I’ve won quite a few bid packs over the years, but never a very large pack. I believe that 300 bids is the largest bid pack that I have won. If you’ve only got 20 or 25 bids left in your bid bank and nothing to spend them on, try bidding on bid packs. you can place a few bids on a bunch of different bid pack auctions, or spend them all on one bid pack auction. It’s totally up to you – DealDash is the place where bidders can make their own decisions. Running out of bids is a common problem. Thankfully, DealDash likes to give out bids to their loyal bidders. There are quite a few different ways to obtain free bids from DealDash’s generous offers. In case you didn’t know, you can get free bids from DealDash by signing in and placing at least 1 bid daily, taking a selfie of yourself with your DealDash auction win, and you can also amass “clock time” by being the highest bidder in any auction. If people are playing nicely, that’s approximately 8-9 sweet, sweet clock seconds every time you bid. A quick and easy way to score some bid packs on DealDash is to use your free bids to bid on larger bid packs. Bidding on bid packs with your bids that you earned from DealDash is a winning proposition. If you don’t win, no bid deal, since you didn’t buy them anyway. Also, if you win it will be an even more exciting win since they would have been totally free. Also, you will earn even more clock time while you are using your free bids to bid on bid packs. I hope that this article on DealDash Bids was helpful for you. DealDash has everything that you need for yourself or gifts. Go check out the site and bid on some great items. There are so many things to choose from. Don’t forget to check back every day for new articles here are well as on our sister blog, DealDash Reviews. If you have any requests for specific articles, please feel free to leave a comment below. VisitDealDash now to see how much you can save. Have fun on DealDash, and happy bidding everyone! Learning About DealDash is Exciting! DealDash is the longest running “pay-to-bid” auction site around. Before DealDash was founded on February 22, 2009, your only choices were a handful of sites that offered you absolutely nothing for your money if you didn’t win. Most of those other sites are out of business now, and with good reason. The whole idea of DealDash was thought up by company’s founder, William Wolfram. If you’re interested in learning more about DealDash’s history and some fun facts and tips, then read on. DealDash is so very different from all of the other sites out there. Not only does DealDash offer a “safety net” for when you don’t win, they also offer many other unique perks. For instance, this safety net that I mentioned is called “Buy It Now”, or “BIN”. This means that you can recover each and every bid that you spent on a particular auction if you take the BIN option. Doing a BIN just means that you buy the auction for it’s retail price, and DealDash will give you back your bids. It’s that simple. Another example of the DealDash difference is the fact that you can get your money back if you don’t enjoy using DealDash! DealDash is completely risk-free to try, because they will offer you a refund if you don’t want to continue being a member of the community. Please do remember, though, that your first bid pack is refundable, but not any subsequent bid packs. Something that’s definitely new and different to the auction world is that DealDash gives free bids. The other sites wouldn’t dream of giving free bids, but when William Wolfram started DealDash he thought long and hard what would make his customers happy. The result that he came up with was free gifts for his customers in the form of bids and free shipping. As you’re bidding on DealDash your bid meter will start to fill up. Once your bidding meter has been filled your account will be credited with free bids right away. Remember when I told you about doing a BIN? After you’ve paid for your BIN and receive your bids back you’ll get to keep all of that time that you saved up as the highest bidder. There are other ways to get free bids as well such as coming by daily to bid on DealDash, and also by sending in pictures and videos with your wins. So you can see, our founder William Wolfram really cares about his customers, and wants to make DealDash the best bidding site out there. I hope this article has encouraged you to learn more about DealDash. It’s fun to learn about our favorite web site. You should definitely check out DealDash’s “Tips & Tricks” section on the site. It’s full of great information that you will find helpful when bidding on DealDash. Just click this link right here and you can check it out. Thanks so much for reading this DealDash Blog article on DealDash history today. Don’t forget to check back often for new articles here are well as on our other blogs, DealDash Reviewed and DealDash Tips. Learning is power, and you want all of the power that you can get when you’re up against a Power Bidder! Let’s get some free bids by using the time clock! DealDash has some awesome products up today! Visit DealDash now to see how much you can save. Have fun on DealDash, and happy bidding everyone! Are you on Facebook? What a coincidence! So is DealDash. Let’s be friends! You have a Facebook account, don’t you? DealDash wants to be friends, and also wants to give you free bids, just for participating! You can get varying amounts of free bids for posting pictures of yourself on the DealDash Facebook page. Would you like to get free bids from posting pictures of you and your wins? The first step is to “Like” the Facebook DealDash page. Simply go to this link here, and “Like” it so you can see all of the great posts as well as being able to post your own pictures and videos to get free bids every week. Why Should I Be Friends With DealDash? Once you have become friends with DealDash on Facebook, you can join a special group of people – The people who know about the DealDash Secrets Facebook page. Shhhhhhh…It’s a big secret! You can get even more tops secret DealDash information on that page. Just click here and you can use this tool to get more information about DealDash. I hope this article has encouraged you to become friends with DealDash on Facebook and reap the benefits of friendship. If you’re interested in reading even more tips and tricks check out the “Tactics & Tips” section on DealDash. Good luck and happy bidding everyone! Are you interested in learning everything about DealDash? Here are my Top 3 Secrets of a Successful bidder. I love lists, and there’s nothing better than a DealDash list! If you want to be successful when playing on DealDash, then it’s wise to learn everything that you can about DealDash and it’s interworkings. Here are my Top 3 secrets of a successful DealDash bidder. 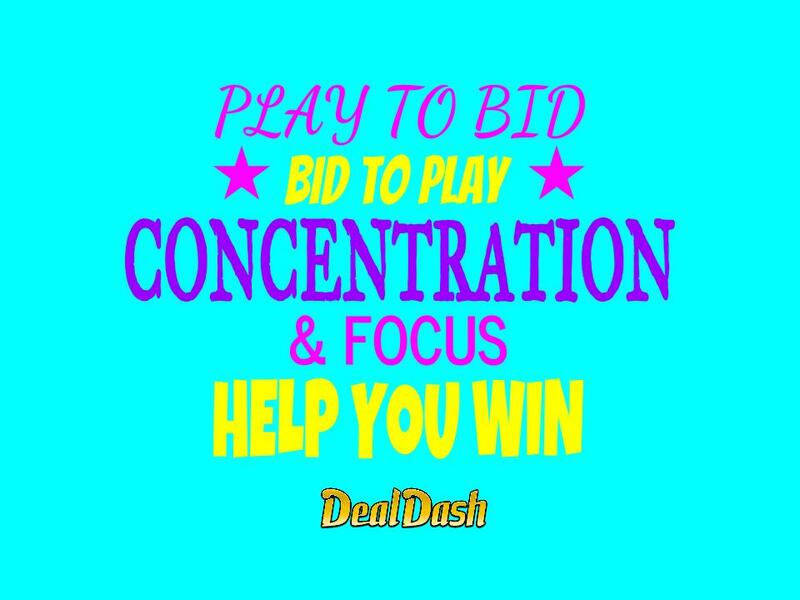 Read on, study DealDash, win more auctions. The most successful DealDash bidders always use their BidBuddies. When bidding on DealDash you need to use the BidBuddy to win – because everyone else is using it, and if you don’t you are cheating yourself out of a useful tool. I strongly encourage you to give the BidBuddy a try. Each and every DealDash auction page has the bid button that says “Bid Now” and the BidBuddy, which is below the bid now button. 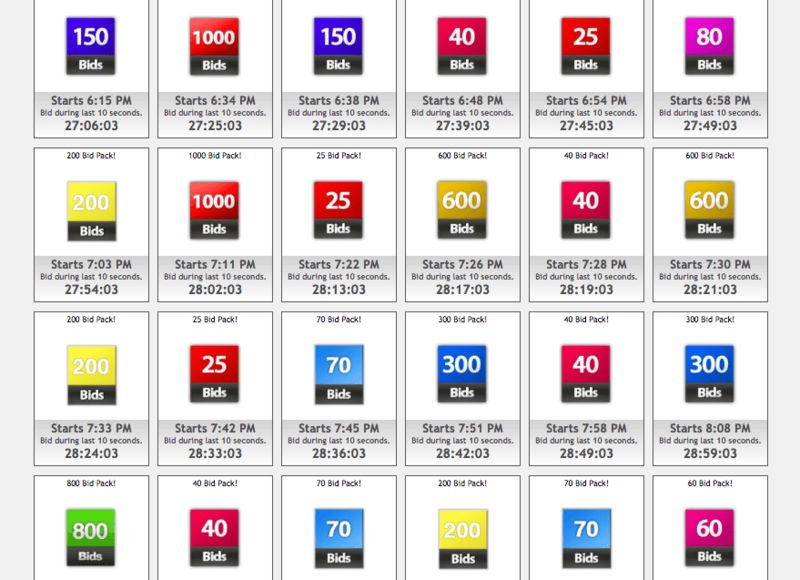 Click on the blank area and type in the number of bids you want to use on the item and click “Book a BidBuddy” your BidBuddy will now be set and you can even turn off your computer and the BidBuddy will take care of everything. The BidBuddy will bid up to the number of bids that you booked, and you can adjust that number up or down anytime that you like. Want to be a successful bidder? Then use BidBuddy. DealDash offers free bids for many different reasons and all of them are simple to claim. Get free bids by posting photos on social media. After you have won and received your auctions you can get free bids by just taking a photo of yourself holding the item and posting the picture on Facebook, Twitter, Pinterest, and more. You can also enter the Facebook free 1,000 bid photo challenge every week for a chance to win. Take advantage of DealDash promotions and sales. DealDash has fluctuating bid prices, and I personally never buy bids unless they are .14 or less. If you have an emergency and you need to buy bids – well, you should have thought ahead! DealDash also has other fun promotions sometimes such as “No Bidders after $3”, and “Free Auction Weekends.” Be sure to take advantage of these, they can save you bids and money as well. Don’t go bidding in auctions blind! To be an excellent bidder, you need to know your competition and be aware of their strengths and weaknesses. Studying your competition is a sure way to win more auctions. Know thy enemy, study the competition! I hope this article on the top 3 secrets of a succssful bidder has been helpful and encouraged you to learn more about DealDash. If you’d like to learn more, you should definitely check out DealDash’s “Tips & Tricks” section on the official site. It’s full of wonderful information to help you win on DealDash. Just click this link right here and you can check it out. Good Luck and Happy Bidding, everyone! What Do You Love About DealDash? DealDash is easy to love. What do you love most about DealDash? DealDash is the best shopping entertainment website around. There are so many things to love about DealDash that it’s hard to pick just one. What are your favorite features on DealDash? Please comment down below and let us know. Here are some amazing things love about DealDash. DealDash offers wonderfully friendly customer service that can’t be beat! It’s easy to get in touch with a customer support rep by going on DealDash and looking for the “HELP” button at the top of the screen. From there you can either open a support ticket or even chat live with a DealDash customer service representative. It’s fast, friendly, and absolutely superior to other bidding sites out there. The BidBuddy is a favorite feature of many bidders on DealDash. The BidBuddy is one of those great things about DealDash that you aren’t going to be able to get anywhere else. Simply choose the number of bids that you would like to spend on an auction and click “Book a BidBuddy” and he will place all of your bids for you. There’s no need to even stay at the computer. When it comes to things I love about DealDash, the BidBuddy is way up there on the list. Another thing to love about DealDash is the quality and selection of items they have up for bid. On some pay-to-bid sites, they only offer gift cards! Where is the variety in that? DealDash offers gift cards, of course, but they also have 6 other categories to pick from. There are hundreds of different items offered up for auction on DealDash every single day. Check out the variety on DealDash, you’re sure to love it. Do you know that I love? Free bids. That’s right free bids, available every day from DealDash. There are different ways to get these free bids, and the easiest way is to just sign-in to DealDash every day. Really, it’s that simple. Just go to this link right here every single day, place at least one bid, and DealDash will credit you with free bids. The more days in a row that you show up, the more free bids that you will receive. I currently receive 30 bids each day for just showing up and placing a few bids! You can also get free bids by posting photos of yourself and items that you have won. You can post these photos to Facebook to get free bids, and you will also be entered to win the weekly 1,000 free bids “best photo” contest. If you’d like to read all of the details about that, just head on over to DealDash’s Facebook page, “like” the page, and then you will be able to see all of the details. Just click here! Thanks so much for reading this DealDash Blog article today. Don’t forget to check back often for new articles here are well as on our other blogs, DealDash Reviewed and DealDash Tips. We hope that your DealDash experience is a good one. Please let us know how we’re doing in the comments down below. Would you like to see what DealDash has up for bid today? Go check DealDash for everything that you need for your home and family. Visit DealDash now to see how much you can save. Good luck and happy bidding everyone! What’s So Special About DealDash? DealDash is a special website, made by people who care about their customers. Here are some of the things that make DealDash unique. DealDash is a fun website to use, and you can win some very nice things. DealDash is special and different than other websites. DealDash is full of things that makes it different than just “any old bidding site. ” The differences from DealDash and other websites are pronounced, and always in the favor of DealDash. Here are some great things that DealDash offers. Not many bidding websites offer you free bids. Usually the only time that free bids are offered on any of the “pay-to-bid” websites is when you first sign up. After you have signed up they don’t give you free bids anymore. DealDash is different. DealDash offers free bids every day, to every bidder, just for stopping by the website and placing a bid. Other ways to get free bids include posting photographs of yourself and your win, writing product reviews, and earning “clock time” as the highest bidder. DealDash “base” price for bids is .60 each. However, they run special bid sales daily, and you can find bids for .16, .14, or sometimes even .12 each! These special prices are one of my favorite parts about DealDash. Everyone loves sales, and it’s fun to see how low the bid prices will go before they go up again. DealDash offers special promotions frequently, some of these include free-to-the-winner auctions and fifty-percent off auctions. These promotions are very popular, and people love being able to get their win for free (actually .01 transaction fee), or for half-off. It’s nice to be able to calculate exactly how much you are spending on an auction, and you can do that easily when it’s free auction day. What are “No Jumper” auctions? No jumper auctions means that no more new bidders are allowed in the auction after the auction price reaches $5. This means that if you do not place at least one bid before the auction reaches $5 you will be locked out of that auction and won’t be able to participate. This limits the number of players competing for the same product, making the chance of winning easier, since there is less competition. Thanks so much for reading this DealDash Blog article on DealDash special features. If you have any requests for specific articles, please feel free to leave a comment below. Now that you have bidding on your mind be sure to go check DealDash for anything that you need for your home or family. Visit DealDash now to see how much you can save. Good luck and happy bidding everyone!